On Oct. 31, Immigration, Refugees and Citizenship Minister Ahmed Hussen tabled the 2018 Annual Report on Immigration in the House of Commons. Included in the report were sections on the importance of immigration to Canada and procedural highlights for the past year, along with the updated multi-year 2019-2021 Immigration Levels Plan. This plan outlines several immigration targets, including the number of Government-Assisted Refugee (GAR) and Privately-Sponsored Refugee (PSR) allocations for the next three years. Of note in the plan is a nominal increase in the GAR target for 2019, which was originally projected at 8,500 in 2019 and will now increase to 9,300. The government indicates in their plan that this increase, per the 2018 federal budget, is based on their commitment to resettle an additional 1,000 vulnerable women and girls. 200 of whom were included in 2018, with the remaining 800 added to the 2019 target. We commend the government for adhering to this commitment and for increasing their target from the previous 7,500 in 2018. However, we once again join other refugee advocates such as the Canadian Council for Refugees (CCR), and recommend the government reach a target of 20,000 GARs per year. Calling for 20,000 GARs would align with the target number of PSRs. In 2018, there was a target of 18,000. As previously presented in the 2018-2020 Immigration Levels Plan, this will slightly increase to 19,000 in 2019 followed by 20,000 in 2020; while remaining the same for 2021. Configuring GAR levels closer to that of PSRs would allow for more equal responsibility between Canadians and the government in refugee sponsorship. The current discrepancy between these two classes illustrates that the overall burden remains on private sponsors for the resettlement of refugees. Though there are joint initiatives such as the Blended Visa-Office Referred (BVOR) program, there is room for the government to do more. Especially as BVOR numbers are set to increase from 1,500 in 2018 to 1,650 in 2019 but then decrease to 1,000 per year in 2020 and 2021. Given its capacity, and Canada’s need for immigration, the government ought to take on further responsibility in at least matching the efforts of private sponsors, if not spearheading resettlement themselves. The overall report prioritizes economic immigration primarily through the Federal High Skilled stream and the Provincial Nominee Program with respective 2019 targets of 81,400 and 61,000. What both the government and their critics fail to recognize is that refugees can and do fill skills gaps. As they move to increase the number of immigrants admitted to Canada year after year, the government should likewise prioritize increasing the number of refugees that it admits. Under the current system, refugees will continue to make up a small proportion of new immigrants in Canada. Refugee sponsorship groups and churches know that we can and must do better. It is also necessary for the government to address global issues of migration to ensure we meet our humanitarian responsibilities by both domestic and international measures. Last month, Canadian church campaigns called for an increase in development assistance to 0.7 per cent of Gross National Income – if Canada’s aid budget remains around 0.26 per cent we are doing little to address the root causes of migration. It is imperative that the government look ahead and take direct action to assist populations in regions where refugees are fleeing for their lives. By increasing fair trade and directing aid to these countries, perhaps we can limit the need for refugees to leave their countries due to extenuating circumstances. Serisha is a recent graduate of McGill University where she earned her Bachelor of Arts in Political Science with a minor in World Religions. Some of her interests include; public policy; political engagement; equity, diversity and inclusion, as well as immigration and human rights law. As the child of refugees, Serisha has been a lifelong activist. 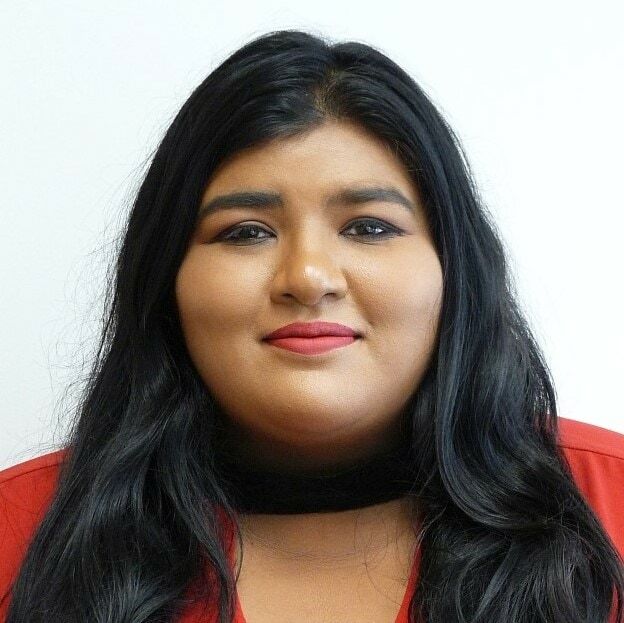 She has been actively involved in refugee rights advocacy since her selection as a 2017-18 UofMosaic Fellow with The Mosaic Institute and furthered this interest while serving as an executive on several student-led advocacy groups. Before joining CPJ in Ottawa, Serisha spent most of her time rotating between Montréal and Toronto.